Develop new models of Community Action and recommend for further adoption/extension to the national/state governments. Mr. A R Nanda is the former Executive Director of Population Foundation of India. He has held many important positions in the Government including Secretary, Ministry of Health and Family Welfare, and Registrar General & Census Commissioner of India. Currently, he is associated with civil society organisations working on health, gender and nutrition. Mr Nanda is member/trustee of many organizations – the Indian Association for Study of Population (member and trustee), Indian College of Obstetricians and Gynecologists (honorary fellow), the Gandhigram Institute of Rural Health and Family Welfare Trust (trustee), and the National Commission on Population and Health (member). Mr Nanda has served as an advisor on the International Advisory Committee for Population Programme of the David & Lucile Packard Foundation and the WHO Scientific and Technical Advisory Group of the Department of Reproductive Health and Research. Dr Abhay Shukla, a public health physician, is the Coordinator of SATHI-CEHAT. He is the national co-convener of Jan Swasthya Abhiyan (People’s Health Movement – India). Dr Shukla has edited and co-authored many books and reports on health care, including the Review of Health Care in India, Report on Health Inequities in Maharashtra, Nutritional Crisis in Maharashtra, and The Rights Approach to Health and Health Care. He has been involved in developing the framework of Community Based Monitoring and Planning of Health Services at the national level, and is coordinating its implementation in Maharashtra. He is actively involved in campaigns for the regulation of the private medical sector, the Right to Health Care Campaign and the initiative for developing a system for Universal Health Care. Dr Abhijit Das is the Director of the Centre for Health and Social Justice, a policy research and advocacy institution on health and human rights, men and gender equality. Dr Das is a medical doctor with training in obstetrics, paediatrics and public health and has over 25 years experience in grassroots work, training, research and policy advocacy. He is the founder member of the MenEngage, a global alliance of NGOs working with men and boys on gender equality, and Convenor of COPASAH, a global health rights and social accountability network. He is Clinical Assistant Professor at the School of Public Health and Community Medicine, University of Washington. Mr Alok Mukhopadhyay is the Chief Executive of the Voluntary Health Association of India (VHAI), a federation of 27 State Voluntary Health Associations working in the field of health and development in India. Mr Mukhopadhyay began his work in the social sector by developing an appropriate model of community based health and development in remote rural areas of Maharashtra. The model has been adopted by government and non-government organizations in South Asia. He has headed the South Asia Office of Oxfam, and was nominated as an Eminent Expert in the Central Council of Health by the President of India. He has authored many books and publications, including The State of India’s Health. Mr Gopi Gopalakrishnan has over 25 years of experience in implementing large-scale service-delivery programmes in low-resource settings. Before setting up World Health Partners in 2008, he founded JANANI, a non-profit entity in the field of family planning. Specializing in public–private partnerships, Mr Gopalakrishnan is an expert in leveraging private sector resources to complement public sector service provision. He was a member of India’s Population Commission and has played an advisory role with the Ministry of Health and Family Welfare, and numerous national and international organizations on large-scale cost-effective service delivery. He was also on the global technical advisory board of the International Finance Corporation and is currently a member of the National Expert Forum on Tuberculosis. He was the Director of International Programs of DKT International and received a prestigious civilian honor from the Government of Vietnam for his work as the Country Director of DKT International in Hanoi. In 2013, Mr Gopalakrishnan received awards for Social Entrepreneurship from the Skoll Foundation and Schwab Foundation. Dr Hanumappa Sudarshan is a social worker and tribal rights activist. He is well known for his contributions to the upliftment of the forest dwelling tribes mainly Soligas in the Chamarajanagar district of Karnataka. He graduated from Bangalore Medical College and became a medical doctor in 1973. Instead of pursuing a medical practice in the cities, he decided to work with tribal communities and started the Vivekananda Girijana Kalyana Kendra in 1980 for the integrated development of the tribals in the Chamarajanagar district of Karnataka. He is the recipient of the Right Livelihood Award, the Padma Shri and he is an Adjunct Professor at IGNOU. He is the chairman of Karnataka Government’s Task Force on Health and Family Welfare and leads the ‘battle’ against ‘corruption’ as Vigilance Director of the Karnataka Lokayukta. He is the founder and Honorary Secretary of the Karuna Trust, which is dedicated to rural development in the states of Karnataka and Arunachal Pradesh. Ms Indu Capoor is the Founder Director of Centre for Health, Education, Training and Nutrition Awareness (CHETNA). Established in 1980, CHETNA focuses its activities on empowering children, young people and women especially from the marginalised social groups to enable them to manage their own activities, especially nutrition, health and well being of their families and communities. A trained nutritionist, Ms Capoor has led the implementation of several people centered community based projects in nutrition, health and education. She is a pioneer in advocating for social determinants of health in several states, national and international policies and programmes through evidence generation and bringing in marginalized community voices into the policy discourse. Ms Mirai Chatterjee is the Director of the Social Security Team at Self-Employed Women’s Association (SEWA). She is responsible for SEWA’s Health Care, Child Care and Insurance programmes. She chairs the National Insurance Vimo SEWA Cooperative Ltd and is the founder of the Lok Swasthya Health Cooperative. Ms Chatterjee is on the boards of many organizations, including the Friends of Women’s World Banking, the Public Health Foundation of India, Save the Children and the Health Action Partnership International. She was recently conferred the Global Achievement award by the School of Public Health, Johns Hopkins University. Dr Narendra Gupta, a community health physician, is the founder member of the PRAYAS. He has worked for improving the health, education and livelihood of the Bhil Meena tribal community in Chittorgarh district. Prior to working with PRAYAS, he had served with IIHMR Jaipur, CAPART, Harvard School of Public Health and the Government of Rajasthan. Dr Gupta convened the Ministry of Health Task Group in designing the National Rural Health Mission framework for Panchyati Raj Institution’s role and the Community Action component. He was the member of the 12th Five Year Plan working group on drugs and food safety and was involved in the launch of the free medicine scheme in Rajasthan. He is one of the national organizers of Jan Swasthya Abhiyan and the convener of its Rajasthan chapter. Dr M Prakasamma has been a teacher, researcher and advocate in public health for the past 31 years. She is currently the Executive Director of Academy for Nursing Studies and Women’s Empowerment Research Studies (ANSWERS). Founded in 1994, ANSWERS – a professional non-profit organization, undertakes research and training related to maternal health, nursing, midwifery, access to health services, quality of health services and human resources for health. She does research on maternal health, quality and equity in health services and issues related to the health workforce. She designs models of training and health care, facilitates development of midwifery faculty and establishment of midwifery training sites. She has been working for strengthening the public health system and restructuring nursing services in several states. She launched the Society of Midwives to advocate for safe motherhood resulting in 7,000 members with chapters in 21 states. Dr Saraswati Swain is the Secretary General of National Institute of Applied Human Research and Development, Cuttack, Odisha. She has been teaching undergraduate, post graduate and paramedical students for more than 20 years, and has headed the Department of Social and Preventive Medicine in medical colleges in Odisha. Dr Swain has been conferred with membership of many professional organizations and has undertaken 56 studies on health and related issues. She is the recipient of National Unity Award for the 1993 and the Saraswta Samman, Orissa Sahitya Academy’s Award for 1999. 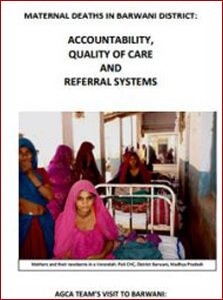 Dr Sharad Iyengar heads the Rajasthan based non-profit health organization – ARTH. The organisation works on research, service innovation and training. It provides support to the government on sexual and reproductive health, neonatal and child health, health systems and policy. Trained in Pediatrics and Public Health, Dr Iyengar has worked for the United Nations Population Fund in India, provided technical assistance on quality of contraception, maternal health, safe abortion and neonatal health. Dr Iyengar is a Steering Committee member of CommonHealth – an Indian coalition for maternal-neonatal health and safe abortion. He is the member of the policy and guidance committee of the Ministry of Health, Government of India and the government of Rajasthan. Dr Thelma Narayan, is a medical doctor with an M Sc. in Epidemiology and a Doctorate in public health policy from the London School of Hygiene and Tropical Medicine, London University. She is deeply committed to health and equity and works as a scholar activist. In 1984, she co-initiated the Community Health Cell, a professional resource centre in community health which grew into SOCHARA, and later evolved into SOPHEA-SOCHARA in 2011 under her leadership. Dr Narayan is currently the Director of SOPHEA and Secretary of SOCHARA, Bengaluru. She has helped evolve public health and primary health care oriented state health policies in Odisha in 2002 and in Karnataka in 2004. She is an advisor to various national health initiatives including the National Rural Health Mission and was associated with the National Health Systems Resource Centre from its inception till 2013. She was also a member of the national ASHA mentoring group till 2013 and was a member of the National Mental Health Policy Group set up by the MoHFW. She has written over 62 reports/publications/papers. Dr Vijay Aruldas is a development professional with over 19 years of senior leadership experience in overseeing the implementation of programmes, enhancing capacity of partners, providing strategic leadership, working with the government and advocating for policy change. He has overseen implementation of community projects supported by several international partners including the Bill and Melinda Gates Foundation, the Global Fund for AIDS, TB & Malaria (GFATM), Bread for the World, EED and Christian Aid. He holds an MBBS from the Christian Medical College Vellore, and a doctorate in management from the Indian Institute of Management Ahmedabad. He has served on the boards of many healthcare facilities, and on several Government advisory committees and programme review teams. He is presently Honorary President of the Foundation for Research in Health Systems, Bangalore. He teaches strategy at several universities and is Adjunct Professor at McGill University Montreal, Canada. Ms Poonam Muttreja is the Executive Director of the Population Foundation of India (PFI). She has over 30 years of experience in the socio-development sector. As the India Country Director of MacArthur Foundation, she was responsible for the Foundation’s grants in India which had a focus on population and development. She has worked with UNDP as Advisor to the Country Representative. As the Founder Director of the Ashoka Foundation (India), Dastkar and SRUTI (Society for Rural, Urban and Tribal Initiatives), Ms Muttreja has made active contributions to the NGO sector. Ms Muttreja is a member of the FP2020 Reference Group, and is on the governing boards and advisory councils of several national and international organizations. Mr Bijit Roy has over 17 years of experience in planning, implementation and management of large scale nutrition, maternal and child health and HIV/AIDS programmes. As the Team Leader, he coordinates the Secretariat of the Advisory Group on Community Action (AGCA) and manages implementation of the technical assistance grant Strengthening Community Action for Health under the National Health Mission (NHM), supported by the Ministry of Health and Family Welfare (MoHFW). He has previously worked with CARE in the Policy and Advocacy Unit at the headquarters and managed implementation of the Reproductive and Child Health, Nutrition and HIV/AIDS (RACHNA) programme in the states of Chhattisgarh and Madhya Pradesh. He holds a Post Graduate Diploma in Rural Development from Xavier Institute of Social Service, Ranchi and a Bachelor degree in Political Science from the Benaras Hindu University. Mr Daman Ahuja has 21 years of experience in the development sector in conceptualizing, planning and execution of the Reproductive and Child Health, HIV/AIDS, Community Processes and Child Labour at the grassroots, state and national levels. Mr Ahuja has previously worked with the Community Process team – NRHM Haryana, coordinated a life skill education programme among adolescents with UNICEF, managed district level implementation of the Reproductive and Child Health Programme of State Innovations in Family Planning Services Programme Agency (SIFPSA) in Uttar Pradesh and led the community awareness campaign at NACO. He received an award from the Minister of Health and Family Welfare for excellence in coordinating the Red Ribbon Express initiative. Mr Ahuja holds a Masters degree in Social Work from Kurukshetra University, Haryana and a Post Graduate Diploma in Public Relations and Advertising from Bhartiya Vidhya Bhavan, New Delhi. Ms Seema Upadhyay has 16 years of experience in different sectors of development, which include community development, health, livelihoods and organizational development. She has worked with the government, NGOs, research institutions and donor agencies handling various aspects of programme management. Ms Upadhyay has previously worked with Seva Mandir, Udaipur on community development; Institute of Development Studies, Jaipur on issues around food security and agriculture; Social Policy Research Institute, Jaipur on tourism, water, power and agriculture issues; NRHM, Jaipur district as District Programme Manager; UNICEF Rajasthan documenting maternal and child health interventions; and ARAVALI, Jaipur on building institutional capacities for working with the poor. Ms Upadhyay holds a Post Graduate Diploma in Rural Management from the Institute of Rural Management, Anand (IRMA), Gujarat and Bachelor’s degree in Botany from Delhi University. 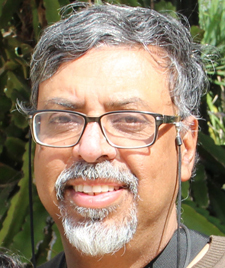 Mr Sanjoy Samaddar has 14 years of in depth experience in the development sector and has worked on issues related to reproductive, maternal, child and adolescent health, nutrition, community participation, decentralized planning, convergence and social franchising. Prior to joining the Advisory Group on Community Action (AGCA) Secretariat, Sanjoy worked as the Centre Director, Nutri Click Project funded by the Department of Women and Child Welfare, Chhattisgarh; State Director, Health of Urban Poor Project, Chhattisgarh; and Convergence Facilitator with State Planning Commission, Chhattisgarh. As the State Programme Manager- NRHM, he coordinated the implementation of the pilot phase of community based monitoring and planning in Chhattisgarh between 2007 to 2009. Sanjoy holds a Post Graduate Diploma in Hospital and Health Care Administration from the Indian Institute of Bioinformatic Centre, Noida and a Post Graduate Diploma in Business Administration from the Institute for Technology and Management, Bangalore.